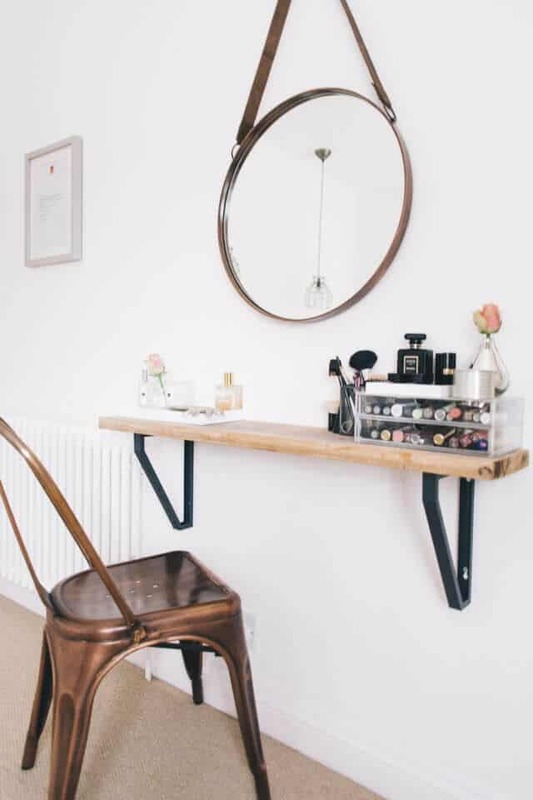 If you’re all about going the DIY route with decorating your home, and your bathroom needs a little facelift, it might be time for a DIY bathroom project. Sometimes changing one piece in a room can make all the difference. You don’t have to do a complete renovation to give your bathroom a new look. Just update something small. 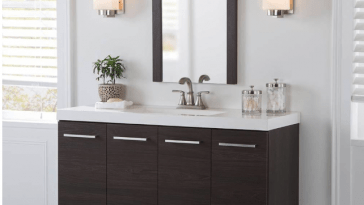 As home design trends evolve, so too can your bathroom decor. 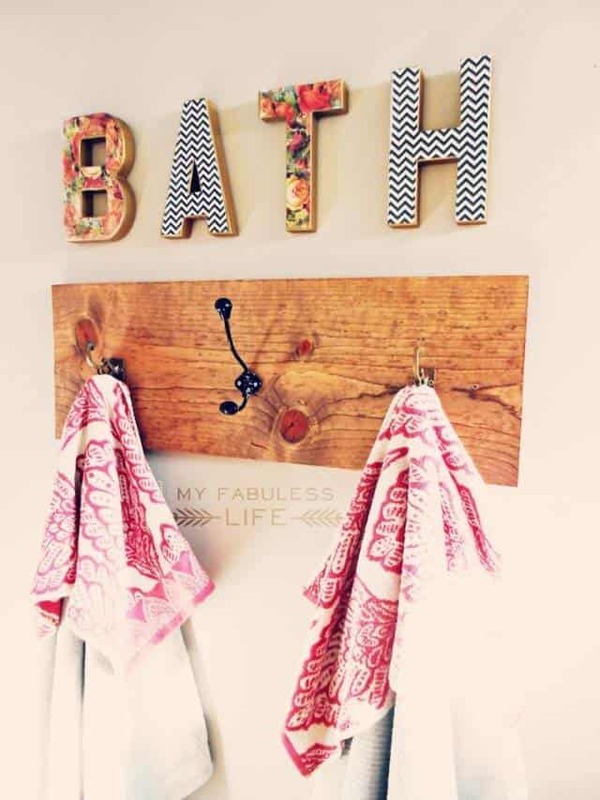 These DIY projects are sure to give your bathroom the perfect little pick me up. A towel rack is something you’re bound to find in every bathroom. 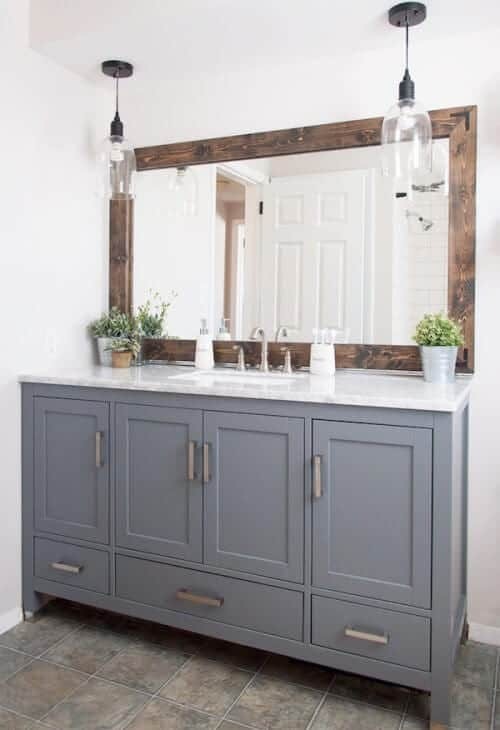 This project is great for creating a rustic, shabby chic look. 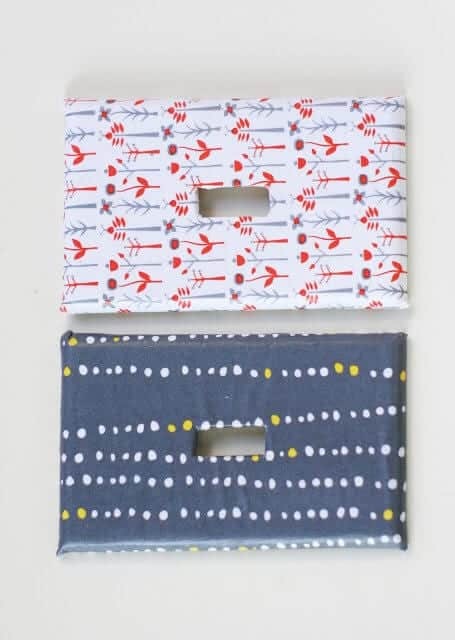 Hang hand towels or bath towels on this rack, which is made with stained wood and metal hooks. 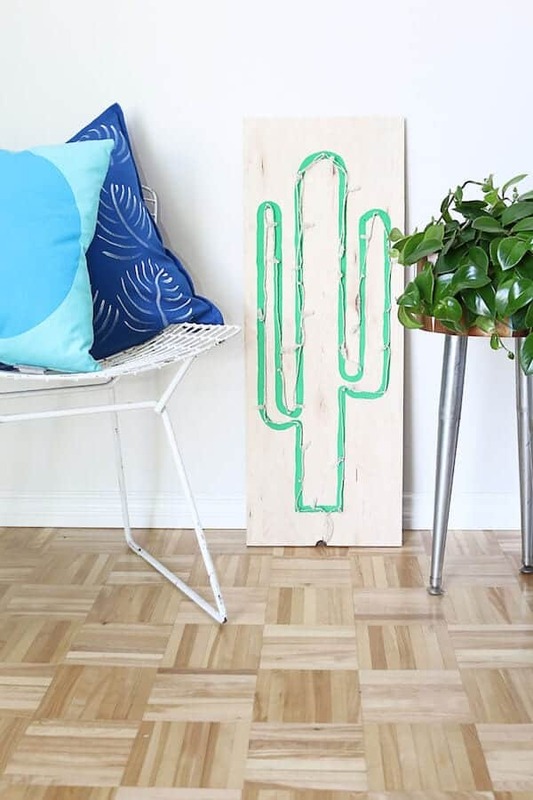 If you want to customize this even more, you could paint the wood instead of staining it. Either way, this piece will definitely make a style statement in your bathroom. Get the full tutorial for this project at My Fabuless Life. 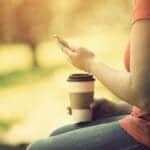 With copper being 2017’s metal of choice, this copper cups organizer is the perfect DIY project. Your bathroom will get an extra boost of shine, as well as a little texture with the leather lace used to secure the cups to the wall. If your style is modern and trendy, you can display this piece without having to completely change the design of your bathroom. Stop by A Beautiful Mess to learn how this is made. Take farmhouse style to a new level with this multi-purpose reclaimed wood shelf. Display pretty flowers on top and hold toilet paper on the bottom. Or use the bottom branch to hang towels on. 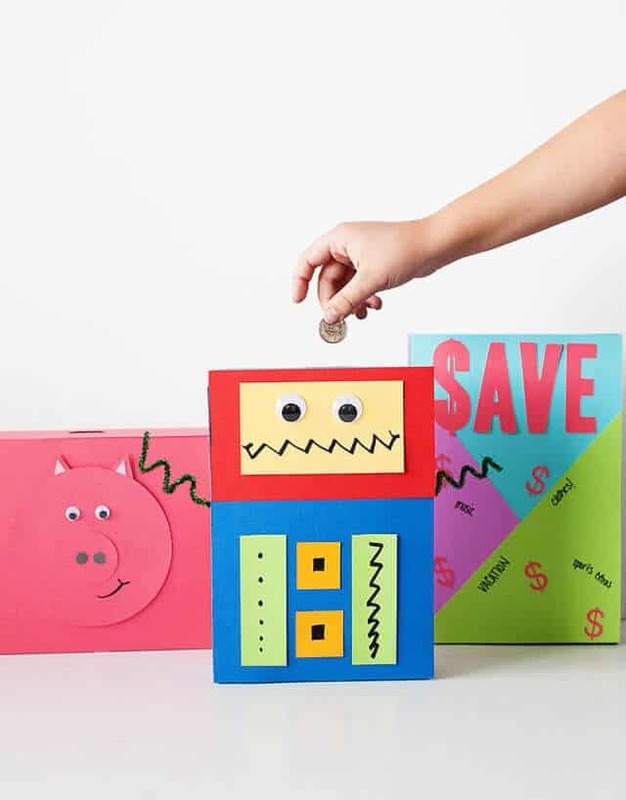 This DIY project offers so many possibilities! 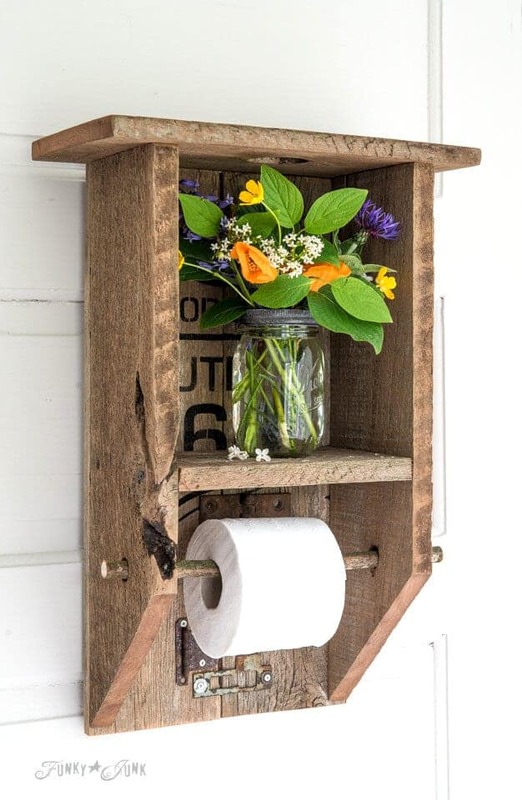 No matter how you choose to use it, it’s the perfect way to incorporate a rustic element into your bathroom design. Head over to Funky Junk Interiors for the instructions on making this. 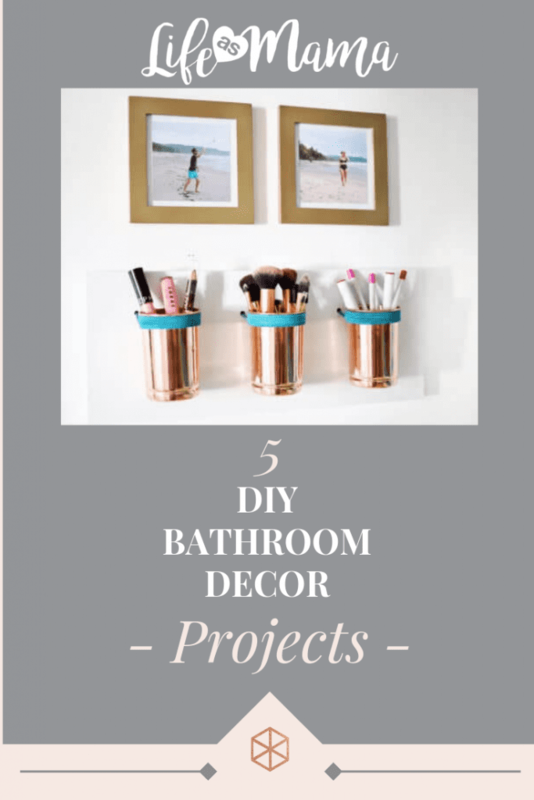 This DIY project utilizes repurposing by turning candle jars into bathroom storage. After cleaning out the candle, find some chic knobs or other items to use as handles. 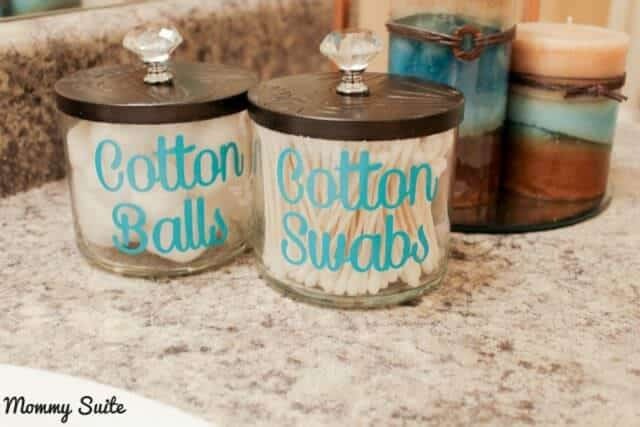 Add cute labels if you want and use the jars to hold cotton balls, Q-tips, flossers or any other small bathroom supplies. Visit Mommy Suite for the step-by-step instructions. 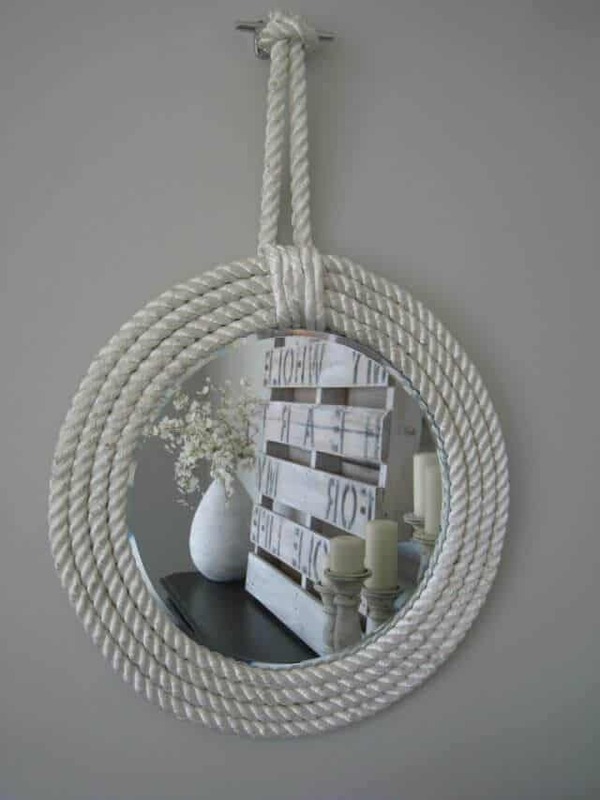 If your bathroom is decorated in a nautical style or has a beach theme, this rope mirror would look so cute! I love the circular shape and how it looks like a life preserver. What a symbolic way to incorporate life on the water into your bathroom design. 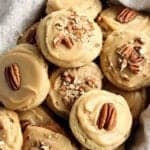 You’ll find the information for making this from on The Lily Pad Cottage.